Cover art from Likely Stories. Neil Gaiman’s collection of weird and haunting short fiction, Likely Stories, made the leap to TV recently, with a UK adaptation that aired on Shudder last year. Now, it’s making the leap back to print—but in the form of a new graphic novel adaptation courtesy of Fables artist Mark Buckingham. The news was announced by Dark Horse today as the latest in its series of Gaiman adaptations. Buckingham will illustrate four of Gaiman’s short stories—“Looking for the Girl,” “Foreign Parts,” “Closing Time,” and “Feeders and Eaters”—as part of a new hardcover collection. The graphic novel is a direct adaptation of the original stories, rather than an adaptation of the live-action series. Gaiman and Buckingham have long been collaborators—in fact, one of the stories in the collection, “Feeders and Eaters,” started out as a brief comic strip between the two in the early ‘90s, and they’ve long worked together on Miracleman. But the new collection will also add an extra twist: Each story will be adapted with new material from Buckingham to create a connective thread between each tale. So even if you read the short stories years ago or watched last year’s TV adaptation, the new comic will add something new to the experience. 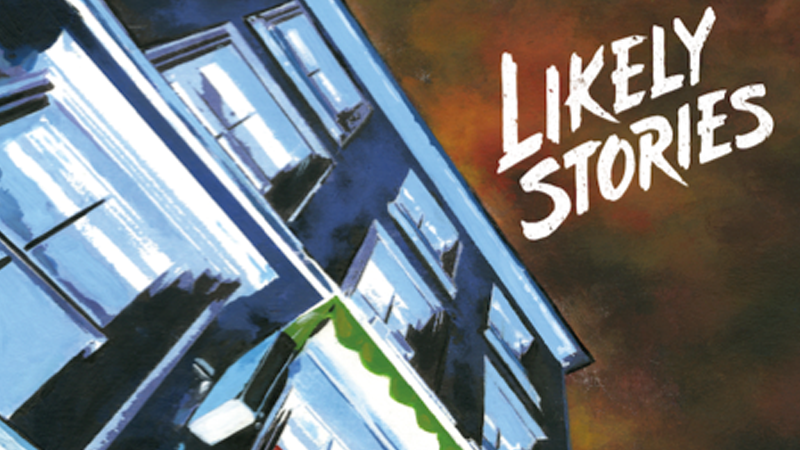 Dark Horse’s Likely Stories is set to hit comic store shelves August 29, with a wider bookstore release on September 11.